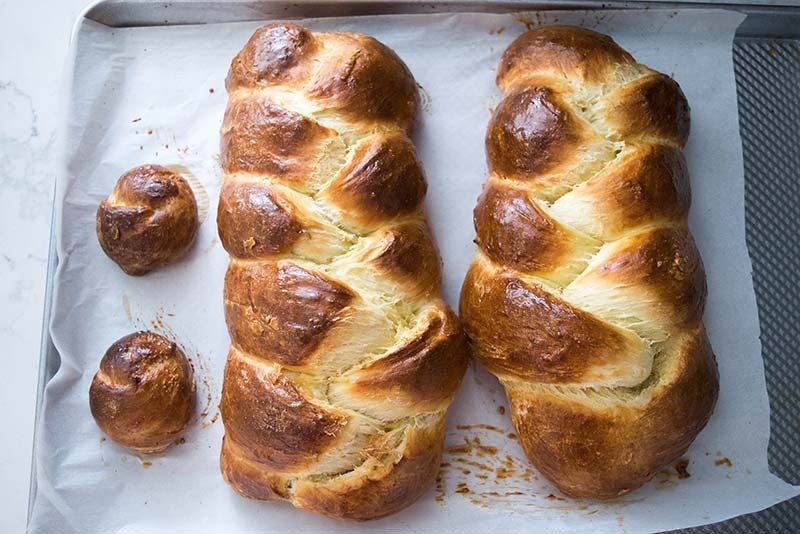 A simple, no knead challah recipe that only requires 1 bowl and 1 spoon! 1. 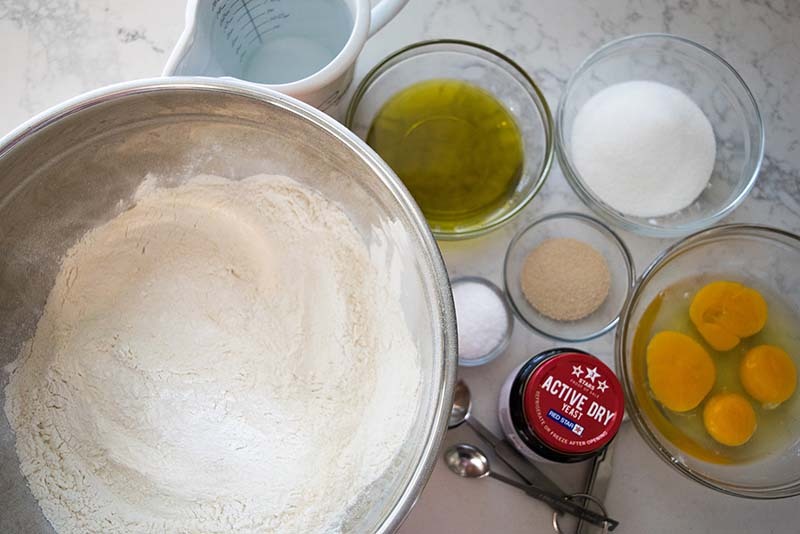 Combine flour, water, evoo, sugar, salt, yeast and eggs. 2. Mix until combined and then cover with lightly greased plastic wrap. 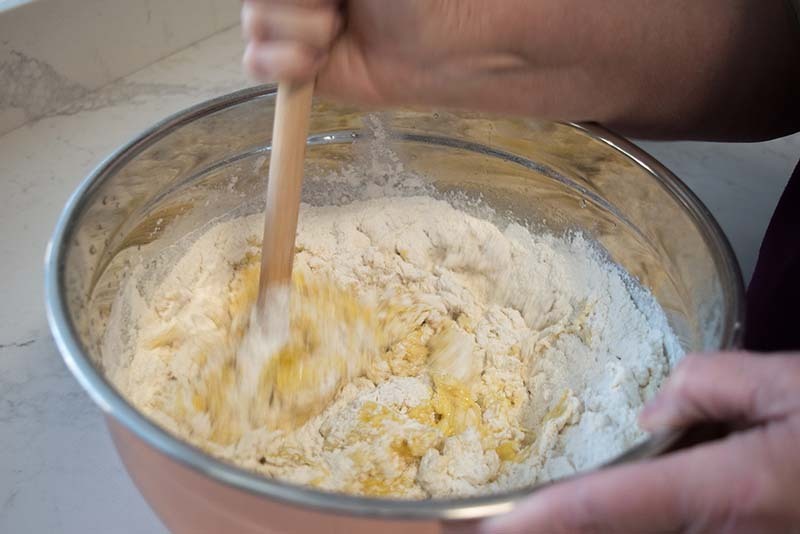 ONCE FULLY MIXED, DOUGH WILL APPEAR CLUMPY. THAT’S OK! 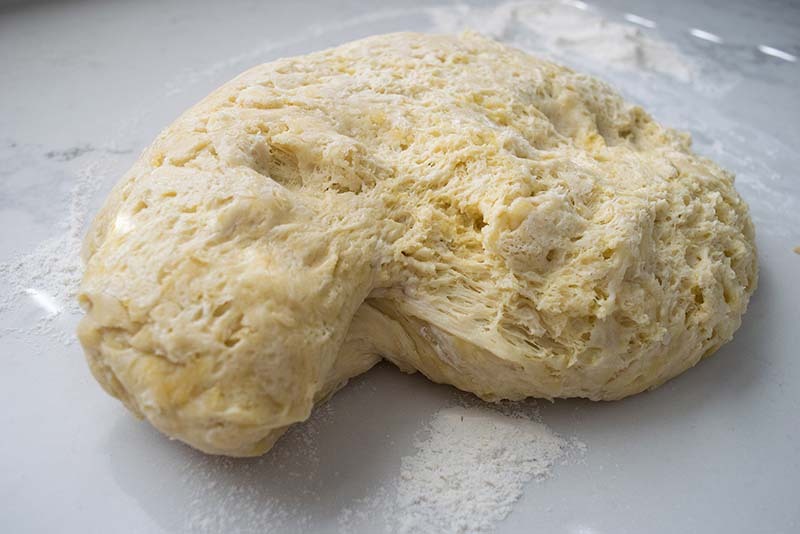 THIS IS WHAT YOUR DOUGH WILL LOOK LIKE AFTER IT’S BEEN MIXED. 3. 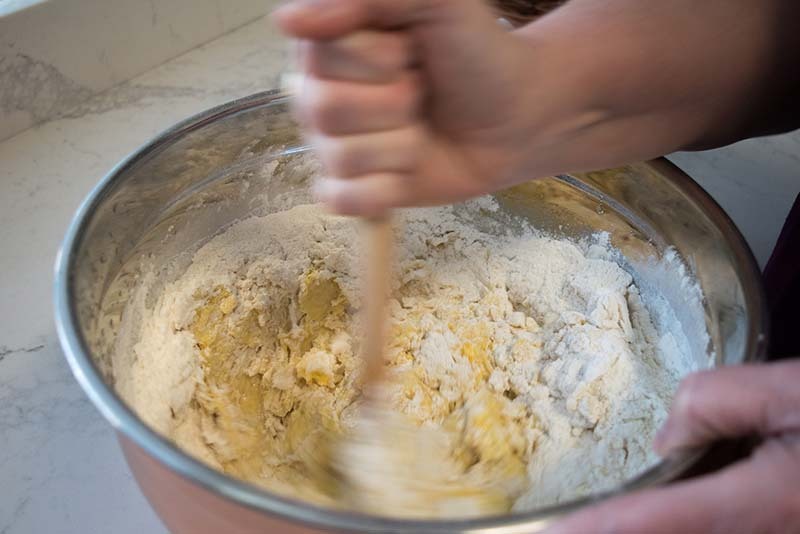 Allow mixture to sit at room temperature for 2 hours before refrigerating for up to 3 days, but for a minimum of 2 days (the flour needs that much time to form gluten strands to give the bread texture). WRAP WITH PLASTIC AND SET ON THE COUNTER FOR 2 HOURS BEFORE PUTTING IN THE FRIDGE. 4. 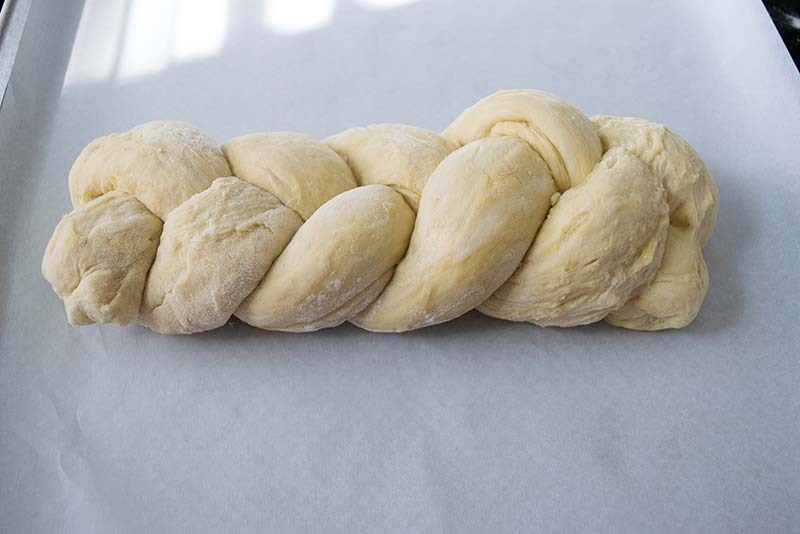 When you are ready to make challah, remove dough from refrigerator and braid as desired. 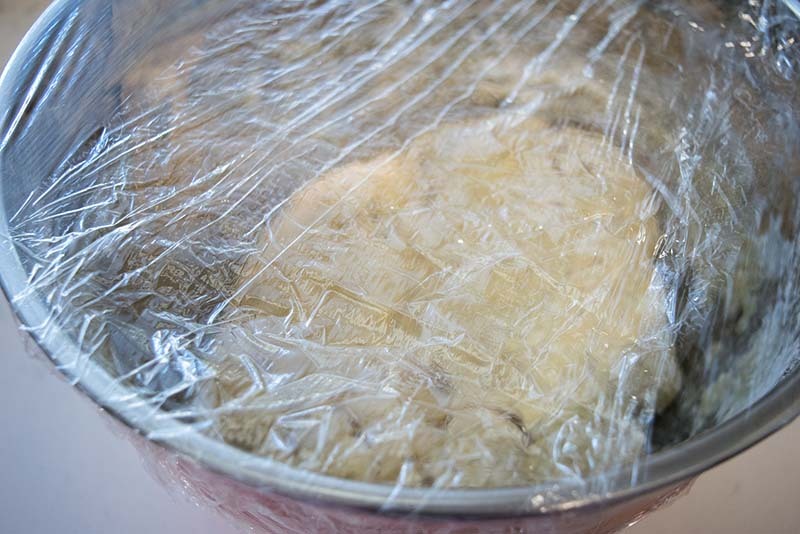 Place braids on parchment lined baking sheets and cover with lightly greased plastic wrap. 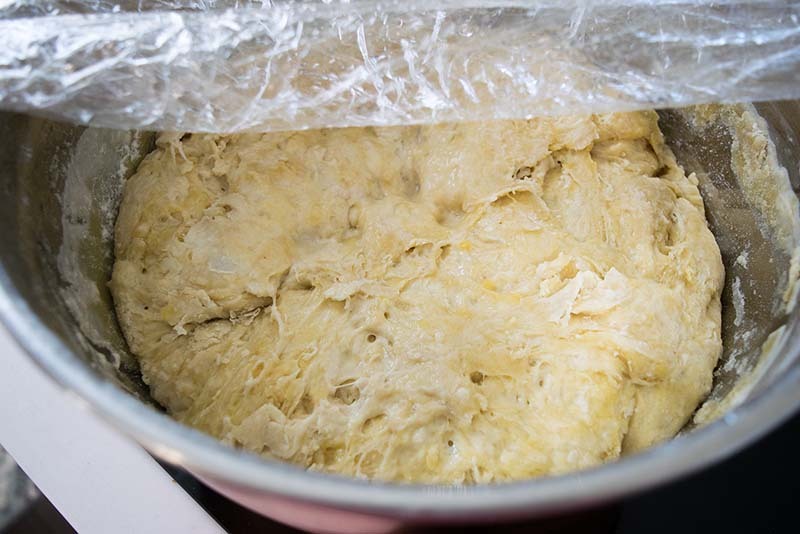 DOUGH THAT’S BEEN RISING IN THE FRIDGE FOR 3 DAYS. TURN OUT DOUGH ON TO THE COUNTER. FORM INTO A LOG AND DIVIDE IN HALF. THEN DIVIDE EACH HALF INTO 3 (or 4) PIECES. 5. 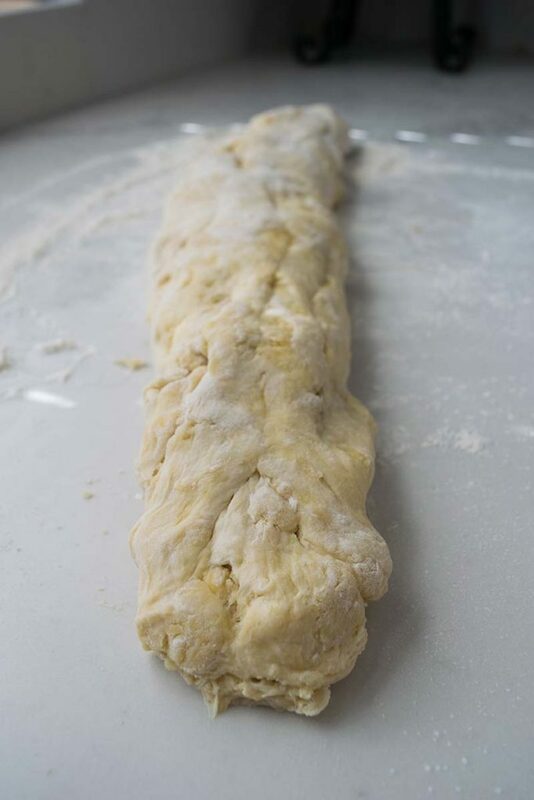 Allow to rise at room temperature for 1-2 hours or up to 3 (a long rise is necessary for the dough). WE USED THE 4TH STRAND TO MAKE 2 ROLLS. 6. 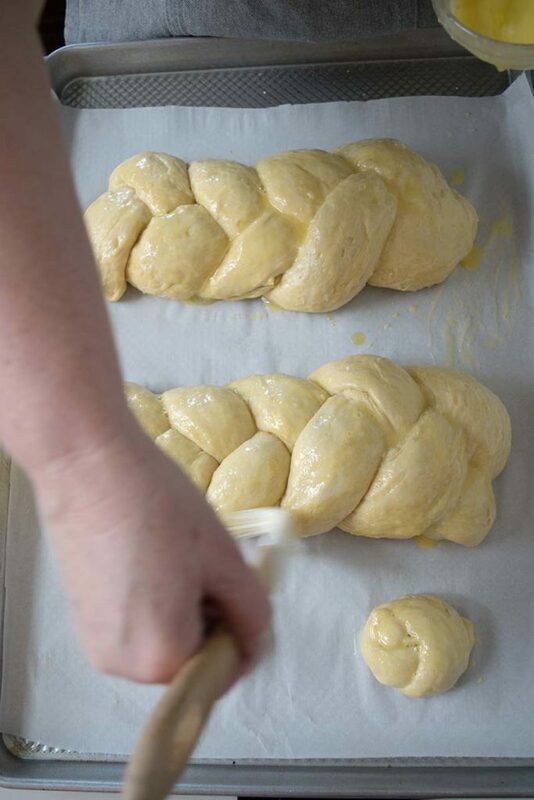 Preheat oven to 350° F. Brush your challah with egg wash. Once your oven comes to temperature, brush on egg wash again. BRUSH WITH EGG WASH TWO TIMES. ONCE RIGHT AFTER YOU TURN ON THE OVEN, AND ONCE AGAIN ONCE THE OVEN COMES TO TEMPERATURE. 7. Bake for 12 minutes, rotate the pan, and bake until 12 to 15 minutes more until golden brown and perfectly cooked. 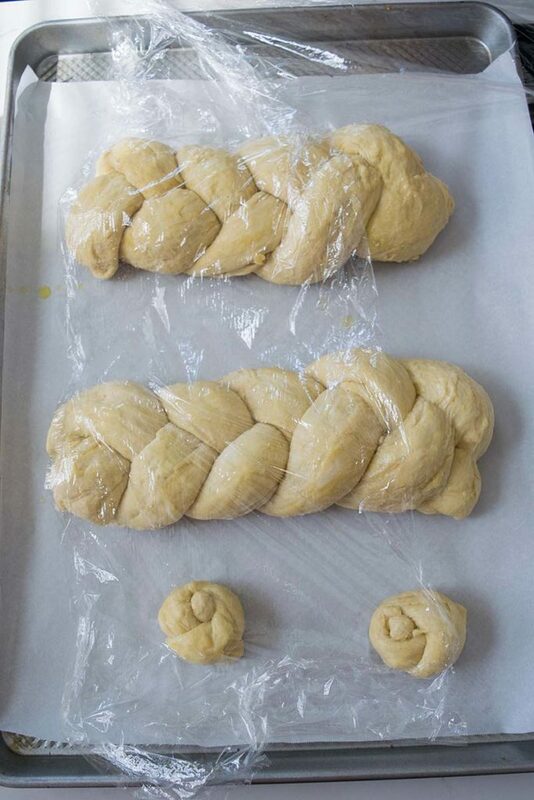 When you are ready to make the challah, remove dough from refrigerator and braid as desired. 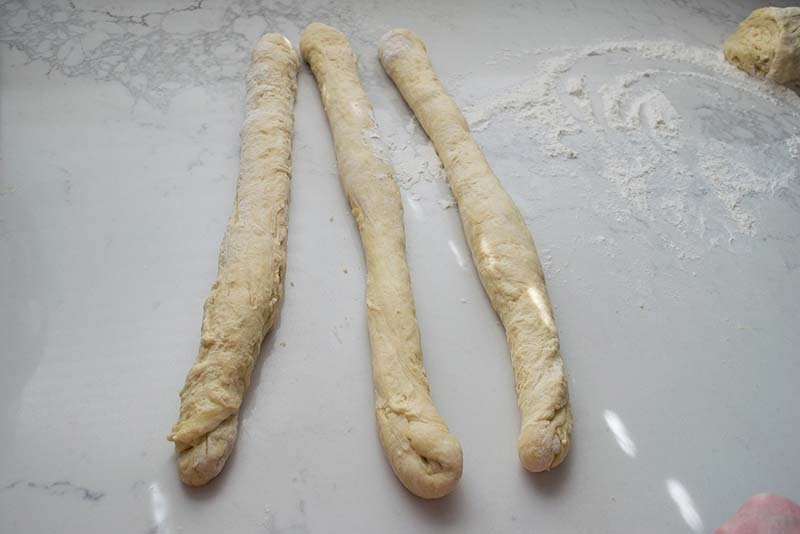 To make a 3-strand braid, divide dough in half. Divide each half into 3 evenly-sized pieces. Roll each piece into a long log. Braid each piece, pinched ends to seal. Repeat with other half of dough. 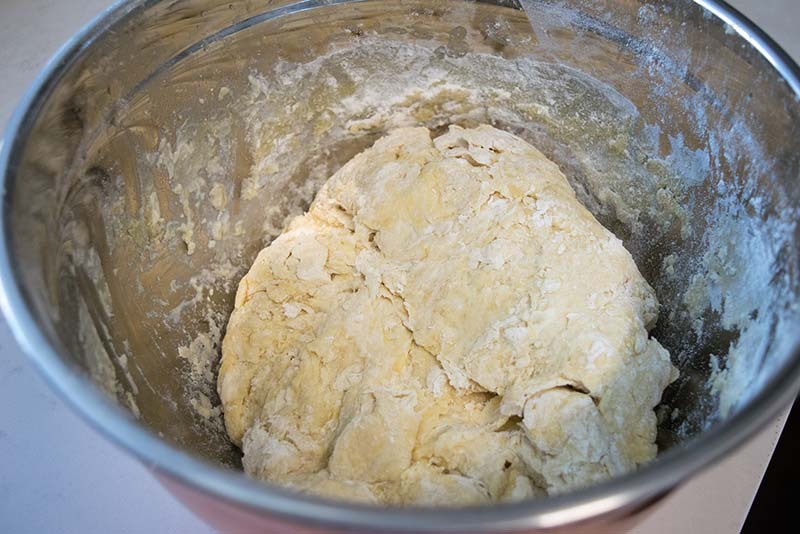 Place braided doughs on a greased baking sheet and cover. Allow to rise at room temperature for 1 to 2 hours (or until doubled in size). Make egg wash: Whisk eggs and water together. Brush on risen challah dough. Allow to sit for 10 minutes before applying a second egg wash. Sprinkle with sesame seeds (optional). Bake for 24 to 27 minutes, rotating baking sheet half-way through for an even crust color. 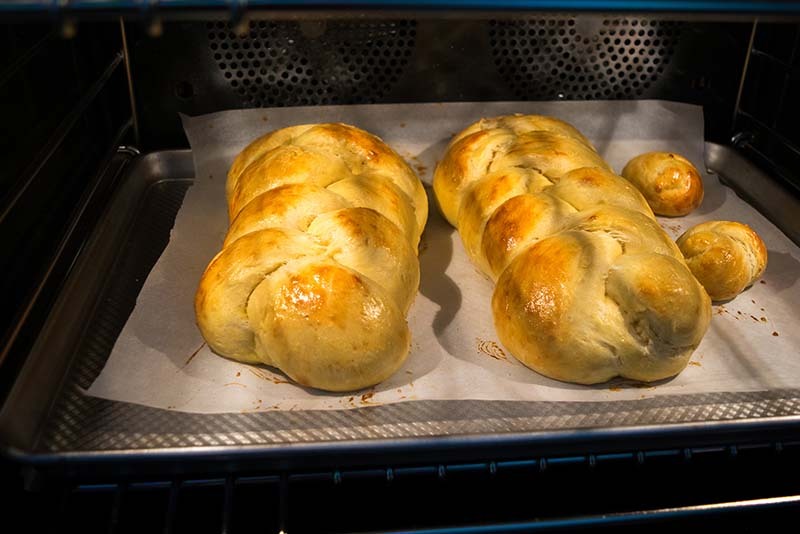 Recipe created in partnership with Joy of Kosher. 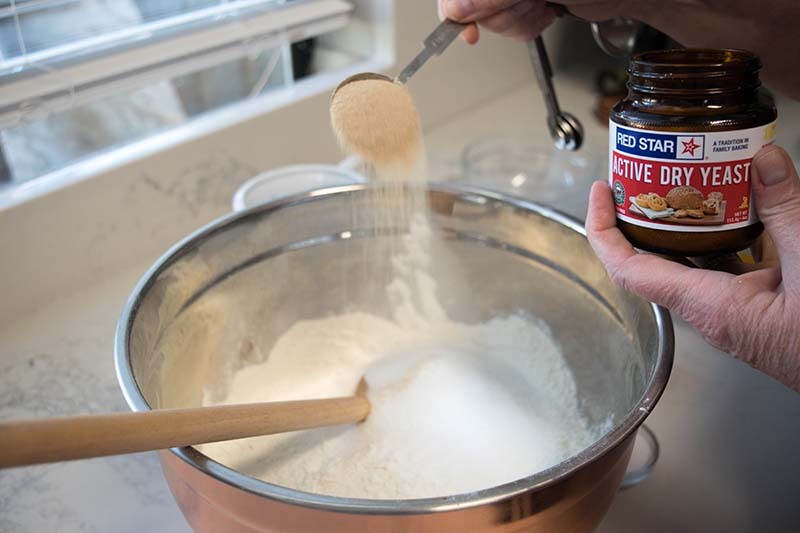 * You can substitute 1 package (1/4oz, 7g) RED STAR Platinum Superior Baking Yeast for the Active Dry Yeast. I want to try this! Looks beautiful!